The later maturing apples are best suited for storing and should be harvested before they are fully mature. Harvest them carefully, bruised apples do not store so well, and sort through them to remove any fruit that is not sound. Broken skins and that sort of thing is to be avoided, as well as apples that are too green. 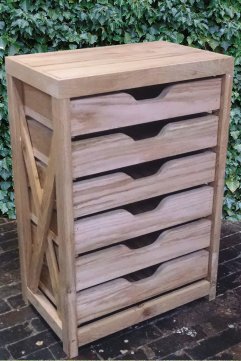 This traditional style oak apple rack is ideal for storing fruit and vegetables from your kitchen garden. When stored correctly you will be enjoying the apples from your garden all through the winter, stored in the traditional country way. This apple rack is hand crafted from oak. It is a handsome beast, built to last in our own country workshops. 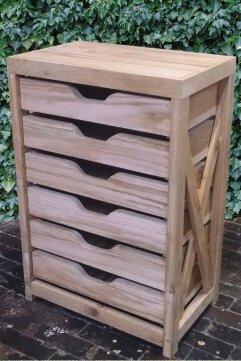 So if you would prefer not to have it in your garden shed, cellar or in your back porch it would be an attractive addition to any kitchen, utility area or garden room for storing all sorts of bits and bobs. Then pack them carefully in the apple rack drawers, it is not necessary, but some people advocate wrapping the individual apples in newspaper or tissue. However, this makes the inspection of your fruit a little tiresome. Much easier to just open a drawer and peek in to see if all is okay rather than having to unwrap each apple everytime.